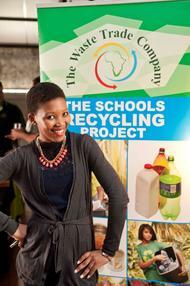 PORT ELIZABETH, 08 September - The Institute of Waste Management hosted their first networking cocktail mixer evening for 2016 at the Old Tramways Building. The agenda commenced with an introduction to the IWMSA by Theo von Ruben, Owner of Chemsolved and also Chairman of the IWMSA Eastern Cape branch. "The IWMSA is a national nonprofit association whose members are dedicated to supporting professional waste management practices, " Theo explained, "members enjoy benefits such as legislative training, networking and being kept up to date with the latest industry related news." 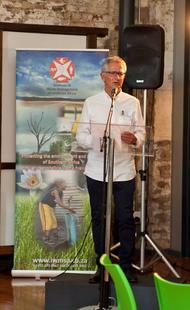 Theo also informed the audience about the up and coming biannual Top Green Organisations Awards for the Eastern Cape, "The IWMSA, in collaboration with The Department of Economic Development, Environmental Affairs and Tourism, offers organisations the platform to be recognised for their achievements in environmental practice. We encourage all to submit their entry forms on or before 30th of September." The Wilderness Foundation Africa Greenleaf Kitchen, who catered for the event, was next to take the stand with Tania Plakonouris, Youth Development Manager, who introduced the audience to the organisation, "Our Umzi Wethu programme includes both a conservation one year course or a one year hospitality chef course. The organisation focuses on three pillars, species, spaces and people. Tonight is the perfect example of how we work with people, as all our waiters have only been with us for a month." Ntobeko Ngcala, senior trails guide then shared his personal tale with the audience, "I had my first real bush experience with The Wilderness Foundation when I was 16 years old, back in 2006. 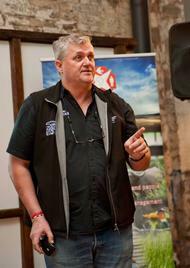 Through much perseverance and support, I have grown to become a qualified trails guide." Nelson Mandela University's Mechanical, Electrical and Mechatronics Engineering students attended with their lecturer, Mr Clive Hands, who concluded with a thought provoking presentation about NMU's Eco Car. "“The current Eco-Car, which weighs 40kg, is undergoing an extensive process of light weighting, which involves optimizing every possible aspect of its design. This involves meticulously removing weight, gram by gram, to make the car even lighter, and hence more efficient. In doing this, the students have applied some quite innovative techniques that, although not externally evident, have resulted in significant improvements already. This is an ongoing, iterative process.”, Clive jokingly added that the driver should be of small frame and not the average South African meat eater. In conclusion, Clive elaborated on the technological climate and the possible changes to be expected, "We cannot afford to ignore these changes, we need to stay up to date with technology and be proactive." 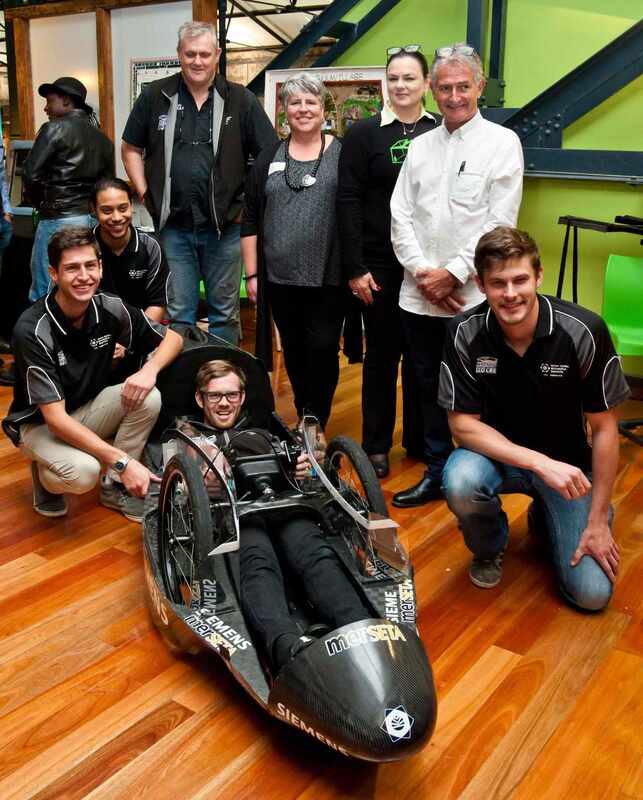 He further explained how the NMMU Eco Car had led them to exploring many other innovative opportunities, "at the moment we are researching the possibility of developing online, recognised courses for industry, where full time workers can have the opportunity to study in their own time and at their own pace." The evening ended with lucky draws and prizes, seeing guests scouting for Theo's business cards under their chairs, "Fostering communication between all stakeholders in the waste industry is one of the IWMSA's goals," added Theo "events such as these really give our members the platform to build relationships and to grow their networks within the industry. This is not only beneficial to our members, but to their clients as well."